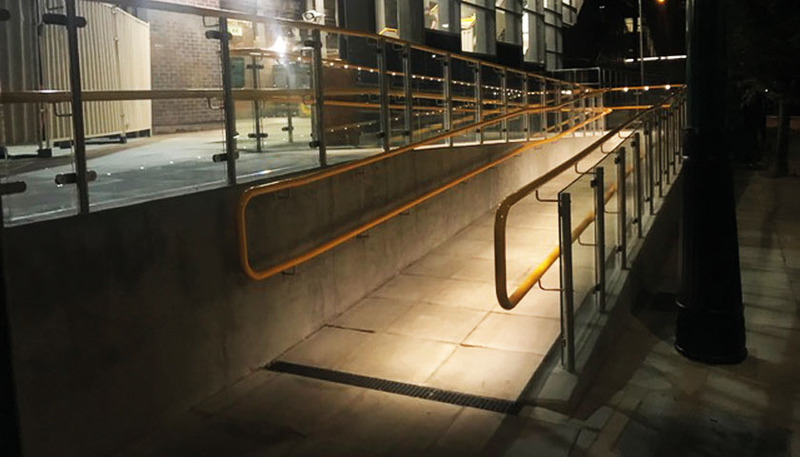 SG System Products add an exciting new illuminated handrail to their range ..
SG System Products have added an exciting new illuminated handrail to their range of handrail and balustrading systems. It can be specified on all of the companies existing product range including Stargard, Sentinel and Citadel handrail systems. Dimming and emergency options are also available, further increasing the flexibility of the Illumine range, and motion sensors can be used to control the inserts. SG System Products offers a wide range of high quality, bespoke, hand finished, balustrade and handrail systems for stairs, balconies, atriums and ramped access (meeting the requirements of the DDA). To find out more about an illuminated handrail by SG System Products, please click here.